Retail Air System Mall Division is a supplier of HVAC equipment, roof curbs, and accessories nationwide for major mall developers and mall general contractors. Our Roof Products Division is a national representative of Curbs Plus, Inc.’s full product line to selected distributors. We offer a full range of products to help you in bidding any project regardless of size or complexity. Please allow us the opportunity to assist you with your next job. For a worry free project, you can rely on us. Our staff has the experience you deserve from your HVAC accessory supplier. 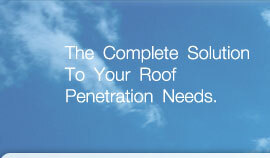 35+ years of combined experience with roof penetration products and accessories. 35+ years of combined experience in the HVAC industry (sales, service, and installation). Specialists on adapter curbs for all HVAC Manufacturer’s equipment. Solutions for both conventional roofs and pre-engineered metal buildings. For roof curbs, adapters, and accessories call Randy Hood. We hope you will consider using us as your source for roof curbs, adapters, and accessories.